This is the Modern Stonewall Dutch (1.d4 f5 2.g3 Nf6 3.Bg2 e6 4.c4 d5 5.Nf3 c6). It is a proven durable and solid defense played by Grandmasters as well. Black's plan is to activate the dead bishop at c8. After castling he can play it to h5 via Bd7, Be8, Bh5 and then trade it off for a knight or bishop if possible. Make sure you understand and memorize the Black Setup. You can play this setup even if White plays other things like 1.b3 or 1.Nf3. Get Books / Modern Stonewall Dutch - Click here! Your problem as Black will be to activate your dead bishop at c8. It can be played to h5 or to b7. I suggest you specialize to play the bishop to h5, then you don't have to push the b pawn at your queenside. Don't push any pawns at the queenside, because this is where White will attack you. This is a natural process. There is nothing you can do about this as in this pawn structure White is simply stronger at the queenside. If you push pawns there you weaken the black queenside and lose the pawn at c6 and/or the a-pawn even faster and accelerate the white attack. You are allowed to play the a-pawn to a6 if white starts a pawn storm playing b4 and a4 and trade off your a-pawn if White plays b5. This is a good idea because you can't lose the a-pawn anymore later on because it is non-existent. 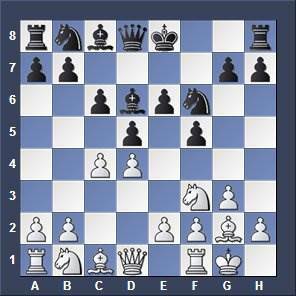 Your task is to attack at the white kingside or play in the center. Try to organize carefully an attack against the white king along the g-file before White will run you over at the queenside, that's it.